← How Much Apple Does A Hamburger Get You? Wonderful! Haven’t quite understood how to install the required drivers apart from octoprint on my linux laptop, but I can’t wait to try this out. Hi I’m one of the creators of TSD. You can send me email at k@thespaghettidetective.com if you need help to set it up. Also will really appreciate your feedback on how to improve the set up process to make it easier for everyone! I wonder if an alternative approach wouldn’t be better. Even older slicers have been able to generate a render of the work at any layer in the print. There are existing tools that will take a picture of the print after each layer with the print head off to the side so it doesn’t interfere with the photo. 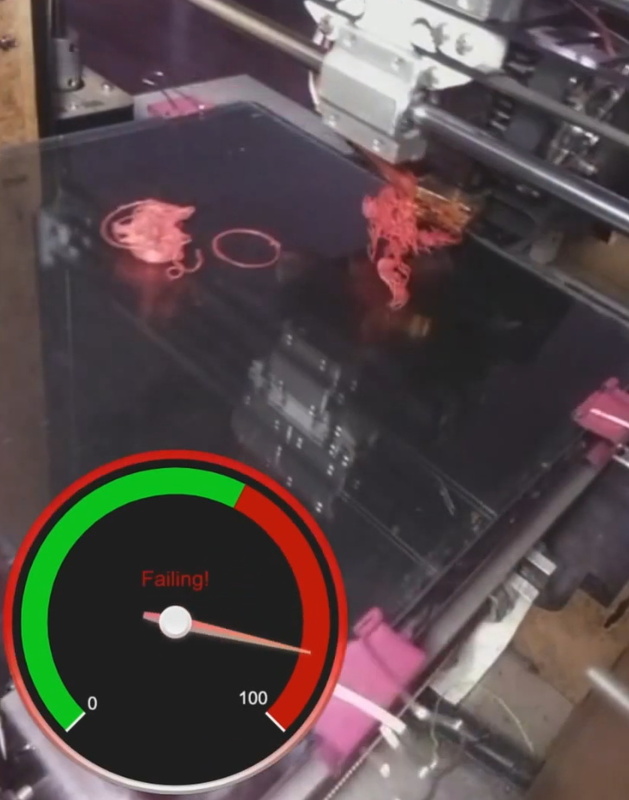 Combining the two should allow a tool to compare the render and actual print to see if things are going off the rails. That is exactly what I proposed a little over a year ago. You wouldn’t even have to move the print head, as the issues would show up under it. All the software would have to do is render what the whole object looks like from the camera’s perspective, trim the rendered image to fit with the current layer height, use that as a mask against an image of the background, and look for differences. Wouldn’t it be enough to have a very basic classifier, class A: nozzle touching part (good), class B: nozzle pushing out plastic in thin air (bad). For this to work one doesn’t need a neural network. Some image conditioner and a trained SVM would suffice. This could be performed on a RPi3 at some 20-30fps. The problem would be to equip the print head with suitably mounted camera that looks exactly at the right spot. The main benefit as I see it would be that it’s an early warning system. See it before the entire roll of filament has become ramen. My approach will be to use a camera close in mounted to the head, only a few mm FOV. only looking exactly at the feed coming out and if it bends away from where it’s supposed to be, alert. might be able to draw a box around where it should be and if it moves out of that box, alert.